I was recently contacted by Valley Entertainment who is releasing an album The Assumption by the Monastic Choir of the Abbey Notre Dame de Fontgombault on January 13th, 2017. I was given a copy of their CD to review and this morning listened to the chants on that CD. You can preview them by clicking here. The quality is fantastic. 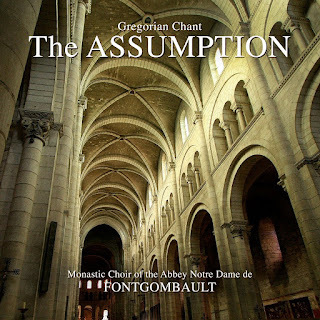 The chant sounds absolutely outstanding and offers a chance for those of us who do not live in a monastic setting to experience the great joy, bliss, and peace in hearing these ancient prayers chanted by the monks. The album deserves 5 out of 5 stars and I would encourage you to pre-order it by clicking here. The newly ordained bishop for Tulsa--Bishop David Konderla--is dismissing from his new diocese yet another religious community devoted to the traditional Catholic religious life, known by many local faithful for also actively participating in the Traditional Latin Mass (1962 Missal). This time it is the Daughters of Mary, Mother of Israel's Hope, a public association of the faithful preparing for years for permanent approval, originally founded by now retired Bishop-emeritus Edward Slattery of Tulsa and Mother Miriam (a Jewish convert known for her talks on EWTN). Please pray for this community which remains true to Catholic Tradition. May they - and the order of exorcists recently also dismissed by Bishop Konderla - find a new home for their important ministry. UPDATE (1/1/2017): The results are now in and posted below. FYI - If you didn't put in your name, there is still time. I will continue the drawing each Sunday throughout January. UPDATE (1/3/2017): I have updated this list and performed another drawing after Mass this morning. I am very pleased to again be a facilitator for the Patron Saint of the Year Devotion. I have been part of this annual tradition since 2006 and have helped coordinate devotions for hundreds of families. It is my pleasure to now be part of the 2017 Patron Saint of the Year Devotion. SPONSOR: This Devotion is being sponsored this year by CatechismClass.com. 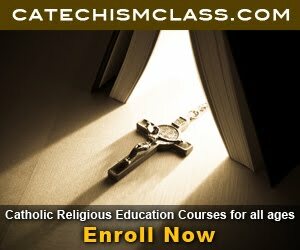 Whether you are looking for godparent preparation courses, Sacramental preparation for your children, or just to better learn the Faith as an adult, CatechismClass.com has courses for all ages and walks of life. Check out CatechismClass.com's affordable programs and make it a resolution in 2017 to learn and live the Faith better than ever before. Saints will be emailed starting that afternoon and thereafter for the next few days. They will be posted here as well. I handle the planning, marketing, and drawing for this devotion each year without any cost. Please take a minute and if you are a supporter of this devotion, please consider leaving us a free will donation. 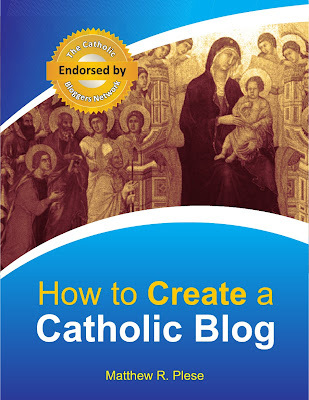 Your support is greatly appreciated and helps me continue working on this devotion and spreading it further and it helps keep A Catholic Life online. It is especially helpful as I am currently between full time jobs. If you are not familiar your saint, I encourage you to research online and even pick up a copy of Father Hugo Hoever's "Live of the Saints," from which I read daily. While the book does not include saints canonized in recent years, it is something that I am highly recommending. 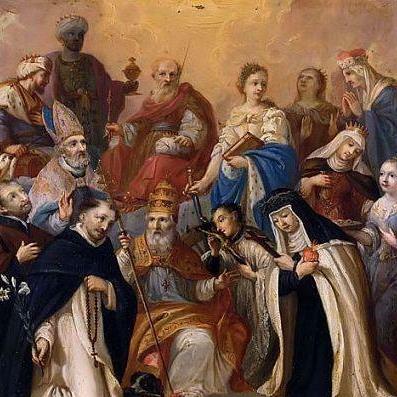 You can also view the list of many saints on this blog by clicking here. And if your saint isn't there, you can simply Google their name. 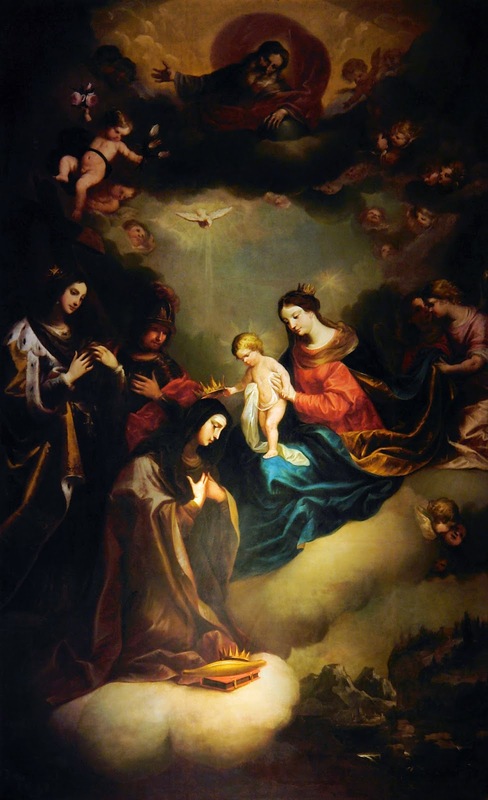 Today the king of heaven has deigned to be born of a virgin in order that fallen man can be recalled to the heavenly kingdom. The army of angels rejoice because eternal salvation has appeared to the human race. Noel, Noel! I. Our Saviour, dearly Beloved, is born this day, let us rejoice. It is not fitting that sadness be where there is the birth of Life, Life which abolishes the fear of death and fills us with gladness of promised immortality. No one is excluded from sharing in this gaiety, there is one common reason of joy for all : Our Lord, the Destroyer of sin and death, just as He found no one free from guilt, so came to free all. Let him who is sanctified exult, for he draws nigh to the palm of victory. Let the sinner rejoice, for he is invited to receive pardon. Let the Gentile be revived, for he is called to life. For the Son of God, in the fullness of time, decreed by the inscrutable depths of the divine counsel, has assumed the nature of the human race to reconcile it to its author, so that the devil, the inventor of death, might be vanquished by that very nature he had vanquished. In this combat that He entered into for us, the contest was fought with a great and wonderful fairness : the omnipotent God took on this most cruel enemy, not in His majesty, but in our lowliness, presenting to him the same form and the same nature as ours, sharing in our mortality but free from all sin. Far removed indeed from this nativity is what we read with regard to all men : “No one is free from sin, not even the infant whose life upon the earth is but a day” (Job 14 : 4). Nothing, therefore, of the concupiscence of the flesh passed into this unique nativity, nothing of the law of sin flowed into it. 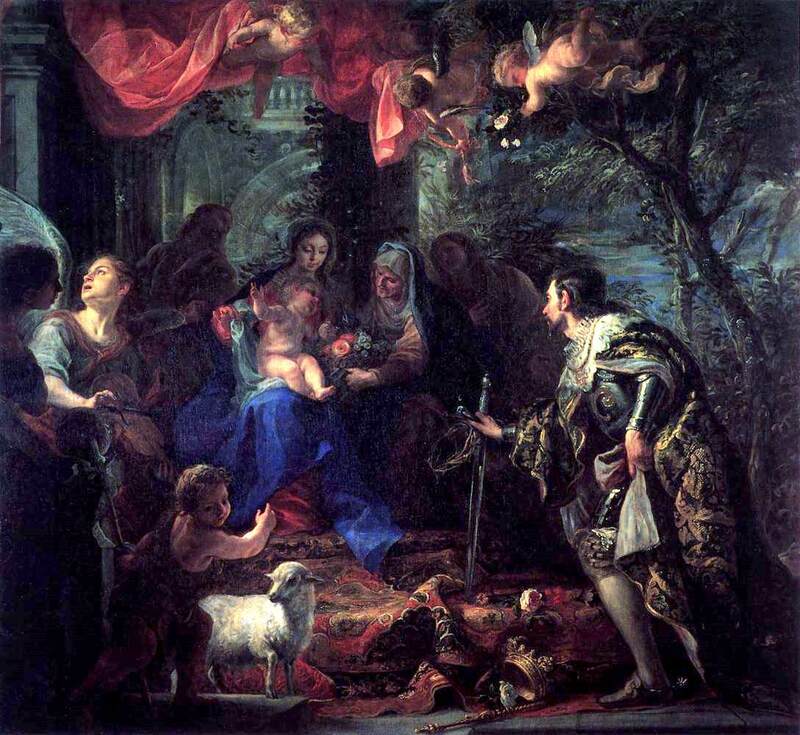 A royal virgin of the house of David is chosen as the bearer of the Sacred Fruit, who had conceived her divine and human Offspring in her soul, before she conceived Him in her body. And lest, ignoring the divine plan, she be fearful at such unheard of tidings, she learns from an angelic colloquy what was to be wrought in her by the Holy Ghost. Nor did she, who was about to become the Mother of God, believe that this betokened the loss of her virginity. Why should she doubt this new manner of nativity, she to whom the power of the Most High is promised ? The faith of she who believed is confirmed by the witness of a preceding miracle, and to Elizabeth is given surprising fruitfulness; that it might not be doubted, that He Who had given to the barren to conceive, would do likewise to a virgin. II. The Word of God, therefore, God, the Son of God, Who in the beginning was with God, by Whom all things were made, and without Whom was made nothing that was made, became man, that He might free man from eternal death : so inclining Himself to take on our lowliness without lessening His majesty, that remaining what He was, and taking upon Himself what He was not, He might join the true form of a servant to that form in which He is equal to God the Father; and by such a bond so link both natures, that neither glorification consume the lower, nor assumption lessen the higher. What is proper to each substance being preserved, then, and coming together in One Person, lowliness is assumed by majesty; infirmity, by power; mortality, by immortality : and to pay the debt of our present state, an inviolable nature is united to our suffering one; and true God and true man are combined into the unity of One Lord, so that, as was needed for our healing, one and the same Mediator of God and men, might, by the one, suffer death, and by the other, rise again from the dead. Rightly then, did the birth of our salvation bring no taint of corruption to the Virginal integrity; for the birth of Truth, was the guardian of virginity. Such a Birth, dearly Beloved, befitted Christ, the Power of God, and the Wisdom of God; whereby He would be both similar to us by His humanity and far above us by His divinity. For unless He were true God, He could bring us no remedy; and were He not true man, He could offer us no example. The exulting angels, therefore, sing at the birth of the Lord : “Glory to God in the Highest” and “peace on earth” is proclaimed “to men of good will”. For they see the heavenly Jerusalem being constructed from all the peoples of the earth. With what joy must not lowly mankind be glad in this unspeakable work of the divine compassion, when the sublimity of the angels rejoices so much ? III. Let us, therefore, give thanks, dearly Beloved, to God the Father, through the Son, in the Holy Ghost; Who, because of the exceeding great love wherein He has loved us, has had compassion on us : and “even when we were dead in sins, hath quickened us together in Christ” [Eph. 2:5], that in Him we might be a new creature, and a new work. Let us put off therefore the old man with his deeds; for being made partakers of the birth of Christ, let us renounce the deeds of the flesh [Col. 3:9]. Acknowledge, O Christian, the dignity that is yours, and having been made a partaker of the divine nature, do not by a degenerate manner of living fall back into your former vileness. Remember of Whose Head, and of Whose Body, you are a member. Remind yourself that having been rescued from the powers of darkness, you have now been transferred into the light and the kingdom of God. By the sacrament of baptism you have become the temple of the Holy Ghost : do not, by evil deeds, drive out from you such a great Guest and submit yourself again to the slavery of the devil; for your price was the Blood of Christ; because in truth He shall judge you, He Who in mercy has redeemed you, Who with the Father and the Holy Ghost, livest and reignest, world without end. Amen. Continuing my articles on the Masters of the Dominican Order, we arrive at the 7th Dominican Master: Munio of Zamora. Munio of Zamora governed the order after Blessed John of Vercelli. Munio governed the Order of Preachers from 1285 - 1291 AD. Born in 1237 in Zamora, Spain, few details are known of Munio's early years. Remarkably along the Masters of the Order of Preachers who preceded him, Munio had no academic formation at one of the great universities in either Italy or France. His talent was in Administration, as he had developed a reputation as an exceptional administrator for his role as Prior Provincial in his own country in 1281. Despite some opposition to him among the Chapter of the Order in Bologna in 1285 due to his lack of studies, he was ultimately elected as the Master of the Order. In fact, it would seem that it was surely Divine Providence who brought forth a great administrator for the benefit of the Order. The Order had grown remarkably quickly and there was minimal training among the members. Discipline was becoming a concern for the Order as men began to join the Order and insist they already had the ability to preach and would not permit themselves to be restricted by the Order from doing so their own way. Munio strongly advocated poverty among those in the Order, as he issued the following statement shortly after his election: "May the zeal of the Order revive in you all! For I tell you with a heart filled with bitterness that, among many of you, this zeal has lost its first vigor." 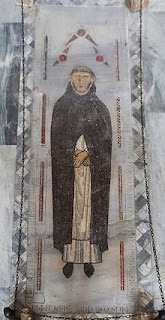 Fellow 3rd Order Dominican Teritaries owe great respect to Munio as it was he who offered an opportunity to lay people and secular clergy, who had been independent until then, to adopt a rule of life and to be placed under the jurisdiction of the Dominican Order. Shortly after his election as Master, Munio promulgated the Rule of the Brothers and Sisters of Penance of the Blessed Dominic (Regula Fratrum et Sororum Ordinis de Paenitentiae Beati Dominici) for this very purpose. After the election of Pope Nicholas IV to the papacy, rumors and stories about Nicholas' past started to circulate in Rome. Among them were the charges that he had been elected thanks, in large part, to the manipulations and bribery of his patron, King Sancho IV of Castile, and Munio was alleged to have been part of the conspiracy. Pope Nicholas IV asked Munio to resign yet in the General Chapter of 1290, Munio was re-elected and praised by the Order for his reputation for abstinence. Thereafter, Pope Nicholas offered Munio the role as Archbishop of Compostella if he resigned. Munio responded by saying he would do so if it was the will of the Holy Father. But Pope stepped aside from making a decision until a year later when he issued a papal bull on April 12, 1261, removing Munio from office. Exhausted after a life of service to the Order and after these trials, Munio was made Bishop of Palencia and served in the office just two years before retiring to the Monastery of Santa Sabina in Rome. He spent the remainder of his life there and died on February 19, 1300. His body is today in the Basilica of Santa Sabina. With the crisis of faith ever intensifying, it somehow has evaded the Catholic hierarchy that the crux of the problem has been our casual and disparaging regard for the Holy Eucharist, reflected most especially by today’s errant practice of receiving Communion in the hand. This is a Protestant practice that was introduced in the late-sixties by renegade bishops to detract from Christ’s divinity and to foment a false empowerment among the laity. However, the faithful are not empowered to touch the Body of Christ as if they were priests. And whereas this is allowed today as common law, no pope to date has formally approved Communion in the hand. Lay people simply are not consecrated to handle the Blessed Sacrament, so that should they do so, a sacrilege is committed. Communion in the hand indeed caters to human pride and warps our conception of Jesus Christ. It serves no other purpose than to nourish contempt for Christ in the Eucharist. It promotes personal uncleanness and fosters the general mentality of transgressing into forbidden realms (touching that which we ought not), which calls to mind the transgression of Eve when she rose up in her pride and partook of the forbidden fruit. However, the author of both is the devil, who is given great strength to work among us in the Church through this practice. His objective is to destroy the monarchical concept of the Church where Christ is no longer seen as the King of kings in His palace. The ancient serpent seeks to cast mockery on Christ’s divinity where he is reduced to a mere man, “symbolized” by bread and wine, and Communion in the hand has been an effective tool in hand to advance this heresy. Hence, Pope Paul in his 1969 pastoral letter reaffirmed the Church’s teaching on the reception of Communion, stating, “This method [on the tongue] must be retained.” This was in response to the Dutch bishops who were clamoring for Communion in the hand against his wishes and in defiance of the centuries-old prohibition against it. Communion in the hand indeed reflects a lamentable blindness of spirit in not acknowledging the physical and supernatural presence of the Son of God under the species of bread and wine. The light of holy dogma is urgently needed today to dispel this ignorance which is alienating the faithful from their Eucharistic King. 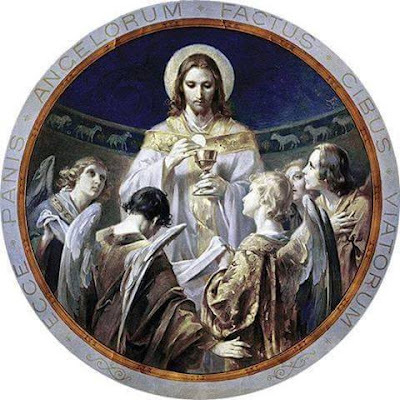 During the Consecration of Holy Mass, the Sacrifice of Christ is reenacted on the altar through the commemorative formula commanded by Christ to his Apostles—This is My Body, This is My Blood—so that upon pronouncing these words during the elevation of the bread and chalice, the substance of bread and wine is changed into the very substance of Jesus Christ, whereby the substance of bread and wine ceases to exist. It is now the substance of Jesus Christ, only and entirely, without any other substance mingling with it. The acknowledgment of this supernatural Mystery is the first and foremost requirement placed on us by the Church to receive Holy Communion, without which one may not receive. 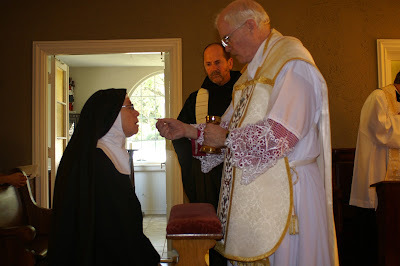 To this end, the Church has always taught that communicants not touch the Host, since it is the very substance of the Creator Himself which only the consecrated hands of a priest may touch. Hence by allowing lay persons to handle the Host, it tends to erase this dogmatic fact from mind and suggests mightily that Holy Communion is just a formality, i.e. a holy meal, a community gathering, where people can come up in cafeteria fashion to have their “blessed bread.” Yea, it promotes all manner of disrespect, i.e. women coming up in promiscuous attire with holes in their jeans. Gallop surveys indicate that a mere 30 percent of America’s Catholics believe in the True Presence. And whereas Pope Francis may see the tenacious adherence to dogma as “idolatry,” he needs to understand that his failure to teach dogma is causing his church to fall into the idolatry of human worship where the people at Mass turn to each other instead of to their God in the Eucharist. It’s now become a “peace be with you” church, instead of a place of adoration. Mike Warnke, a former satanic high priest who converted to Christianity, warned the U.S. bishops that allowing Communion in the hand was a mistake, pointing out how this allows satanists easy access in procuring the host, which they desecrate in their satanic rituals. This is confirmed by Fr. Andrew Trapp of South Carolina, who posted a web-story about a former satanist in his prayer group [Nicholas] who revealed to him how they steal consecrated Hosts from Catholic Churches for the purpose of desecrating them in the satanic Black Mass. The pope was clear that he did not want Catholics receiving Communion in the hand, nor did he want them standing to receive, for which reason the faithful at his Masses were required to kneel and receive on the tongue. Benedict’s objective was to foster renewed love for the Eucharist and to offset the various trends of our time (guitar liturgy, altar girls, lay ministers, Communion in the hand) that have worked together to destroy our regard for the Sacred Mysteries. The centuries-old ordinance allowing only the consecrated hands of a priest to handle the Body of Christ rules out lay “Eucharistic Ministers” as well. The Council of Trent puts to shame today’s burlesque practice of allowing lay people to distribute Communion. This stems from the fact that lay people’s hands are not anointed to touch the Eucharist, unlike the hands of a priest. St. Thomas Aquinas beautifully articulates this point in his Summa Theologica. Communion in the hand, more specifically, is tied to the late Cardinal Suenens of Belgium, a known heretic and initiated Freemason (initiated 6-15-67, code-name “LESU”) who introduced this practice to the Dutch bishops in the mid-sixties. Suenens, who oversaw the implementation of the worldwide charismatic “renewal” in the Catholic Church and who advocated married priests, was all about defaming the Eucharist and the priesthood. Hence Pope Benedict did his part to try to purge the Church of this abuse, seeing how it has contributed mightily to the loss of the awareness of the supernatural presence of Christ in his tabernacle. We might say that a form of Eucharistic atheism has set in. Poor liturgical discipline has given way to apostasy, so the remedy is to return to our knees and receive the Eucharist on the tongue. Without this basic humility before the Eucharist, our efforts at restoring the Church are vain. Choosing to embark on a pilgrimage can be a life-changing and faith-building experience. Walking in the paths of saints who have come before us is a powerful way to reflect and reconnect with what is most important in your life. And it is a chance to make reparation for our sins as well as those of others. Oftentimes it can be difficult to know where to begin, in terms of selecting a destination, but here are a few you might want to consider. 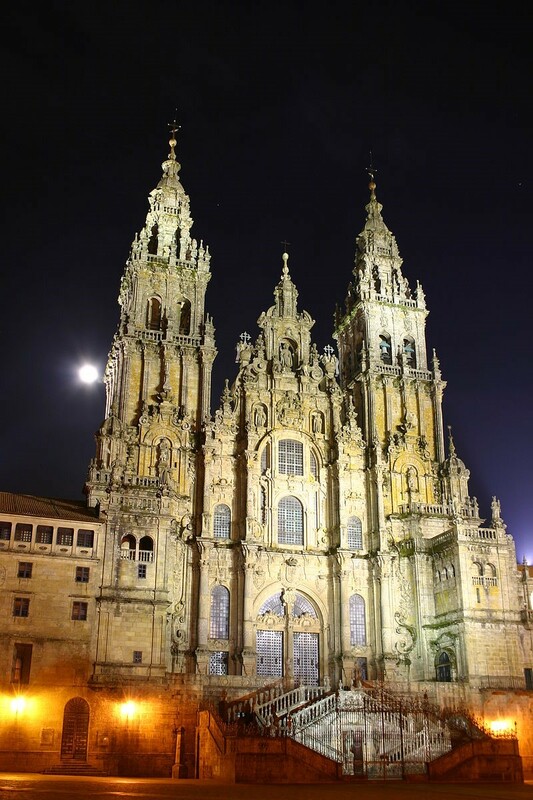 Crossing much of Western Europe, the Way of St. James leads travelers to the Cathedral of Santiago de Compostela. Since the Middle Ages, travelers have been journeying on the trails that make up the Way of St. James to reach the site in northwestern Spain. Undertaking this journey is one way to honor St. James, the first martyr and one of the twelve apostles. 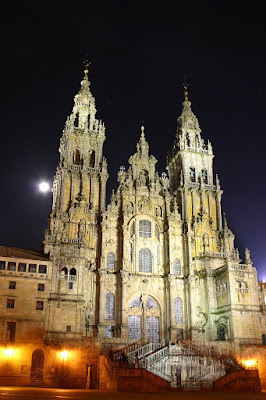 His followers moved his body after his death to Santiago de Compostela. Embarking on this particular journey allows for ample time to reflect while enjoying the splendor of nature. There is not one single path; instead, there are a number of popular routes to take that all end in Galicia in Spain. One of the most popular routes starts in the Pyrenees near the French border, either in the town of Roncesvalles or Somport. The voyage can potentially be more than 200 miles long, so, if you plan on taking one of the extended routes, consider obtaining a Pilgrim’s Passport. This will allow you to collect stamps at various sites along the way and gives access to key pilgrim refuge spots. A trip to the Holy Land will give you a new perspective to the Faith. A word of caution, however; there are numerous tours run by different Christian groups across Israel, Egypt, and Jordan but not all trips are presented from a Catholic point of view, so be sure to find a Catholic-based one. North of Jerusalem you will find Galilee. If you were hoping to walk in the footsteps of Christ, consider making Galilee a part of your pilgrimage. A trip to the city of Nazareth can be especially powerful during Advent. 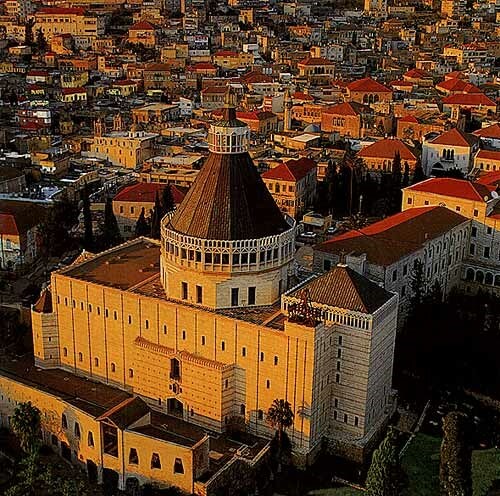 Nazareth is the site of the Basilica of the Annunciation, the site where Gabriel appeared to Mary, and the largest Catholic church in the Middle East. A 40-mile path known as the Jesus Trail will take you from Nazareth through Cana and Capernaum and past the Sea of Galilee. Tours focus on the places Jesus visited during his time of ministry and preaching. Throughout Galilee there are small shops and tourist attractions focusing on travelers journeying on a pilgrimage. You can even purchase a bottle of wine from Cana, the site where Jesus performed his first miracle of transforming the water into wine. An additional way of walking in the steps of Christ is to follow the Via Dolorosa through the Old City of Jerusalem. This is the path Jesus took toward his crucifixion. Today, it is marked by the Stations of the Cross. You will truly never be able to experience the Stations of the Cross in a more humbling setting than the actual path of Jesus. A Catholic procession is led down this path each Friday. The Via Dolorosa will lead you to the Church of the Holy Sepulchre, the location where Jesus was crucified, and to the tomb He was buried in before His resurrection. Another site to visit is the Jordan River where John baptized Jesus. The Jordan River is also significant, as it was crossed by the Israelites to enter the Promised Land. If you plan your trip to Israel during Advent, a visit to the Church of the Nativity in Bethlehem can be a particularly powerful experience. The church sits on the site of the birth of Jesus. While you might not think of Paris as being a particularly significant city, in terms of religious sites, there are a number of destinations that make the trip worthwhile. 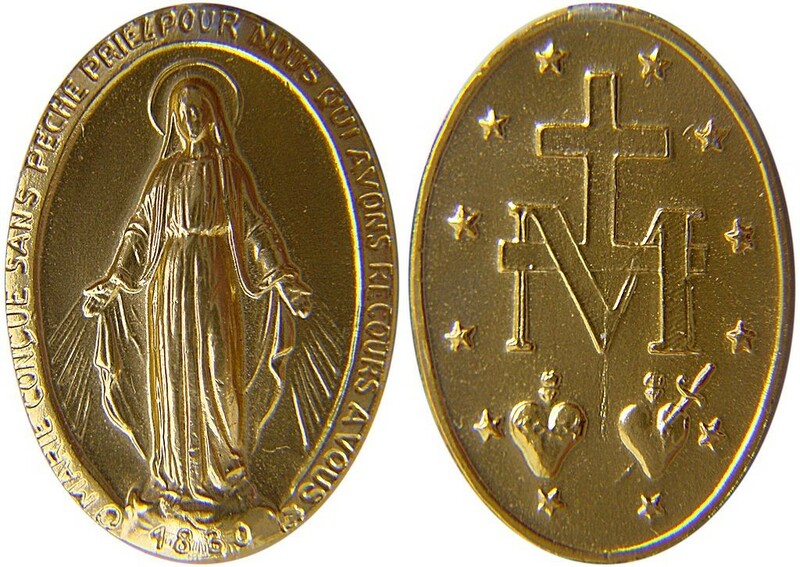 A pilgrimage to Paris can include a stop at the Chapel of Our Lady of the Miraculous Medal. 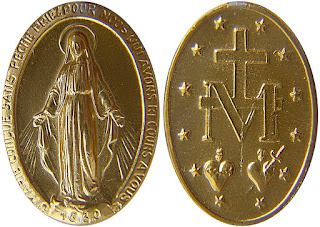 The Blessed Mother appeared to St. Catherine Labouré in 1830, eventually leading to the creation of the Miraculous Medal. Like most sites where Mary has appeared, it is a popular destination for Catholics on pilgrimage. A trip to Paris also allows you to walk in the footsteps of St. Vincent de Paul, St. Louise de Marillac, and the Daughters of Charity. The Shrine of St. Vincent de Paul is the final resting place of the saint who dedicated more than 60 years of his life to helping to poor of Paris. Once inside, you will find a breathtaking place perfect for prayer and reflection. St. Vincent de Paul worked closely with St. Louise de Marillac in founding the Daughters of Charity. Today, their works are carried out by smaller groups at many parishes through the world, as the St. Vincent de Paul Society. There are some sites that offer a unique, faith-building experience in the United States, as well. The Hawaiian island of Molokai, where St. Damien cared for patients with leprosy, is one such site. Kalaupapa National Historic Park is the only national park managed by the United States that has the distinction of being associated with a saint. Plan carefully if you were hoping to catch Mass in the church St. Damien worked at while on Molokai, as Mass is only celebrated on the first Sunday of each month. Wisconsin is the home of the only approved apparition of Mary in the United States. 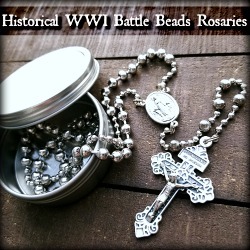 In 1859, the Blessed Mother appeared to a young woman three times. The National Shrine of Our Lady of Good Help in Champion, Wisconsin is a popular pilgrimage destination for Americans. The church sits on the site where Mary appeared to Sister Adele Brise. This is a wonderful pilgrimage to honor the Blessed Mother. A pilgrimage can truly be a powerful, faith-building exercise. Walking in the paths of the saints of the past can educate you on many lessons you can apply to your own life. When traveling abroad, do your research. Many pilgrimage sites are well-traveled tourist destinations, but some are in more out-of-the-way locations. Pilgrimages offer you the chance to reflect, pray, and gain perspective in a way that is sometimes difficult to achieve in today’s world. It is however important for all of us to make time for these noble actions for the benefit of our own souls. 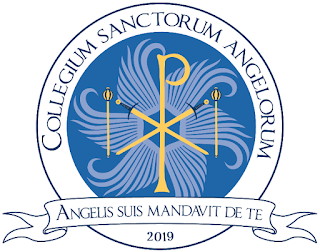 Collegium sanctorum angelorum announces the establishment of a new college to serve traditional Catholics and the establishment of the college’s supporting subsidiary, Heavenly Roast Coffee. Have you wondered “what ever happened to Catholic colleges?” With a very small handful of exceptions, two things have happened to Catholic colleges. The first is that they have built themselves on a financial model that is unsustainable. The model requires ever-increasing tuition, ever-increasing enrollment, and ever-increasing fund raising campaigns. Even then, it seems that enough is never enough. The second thing that has happened to Catholic colleges is that, in order to keep their enrollment numbers increasing in a society that has been overwhelmed by secularism, they have “lightened” their emphasis on their Catholic identity and mission. Indeed, many have jettisoned it altogether. If you are a homeschooling family, it is likely that you have seen a similar decline in the Catholic identity and mission of Catholic elementary and secondary schools as well. And if you are a traditionalist, it only gets worse. At best you are tolerated, begrudgingly, but more often than not you are viewed as a “deplorable.” So, you have “circled the wagons” spiritually and morally. You educate your children, you drive long distances to attend Mass, and you select a small circle of friends who will reinforce your efforts to inculcate the faith in your children. Now as your children are growing, perhaps you are wondering what to do for college? Where can you send them and have a reasonable hope that your eighteen years of toil won’t be undone in the first semester of classes? Let me give you a place to consider. 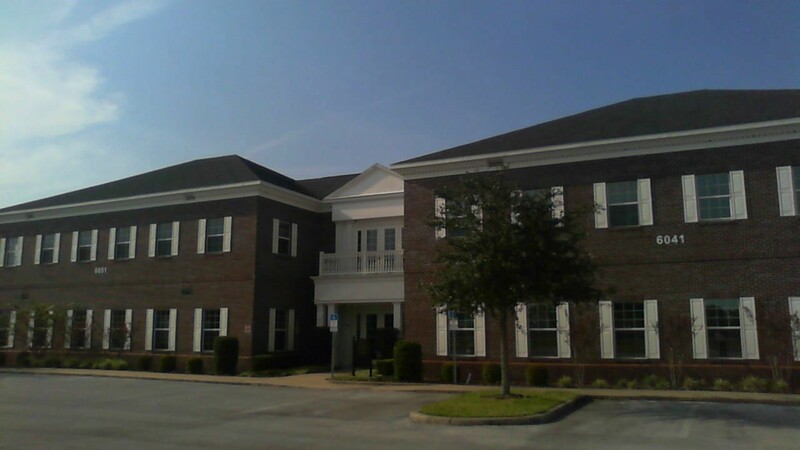 The Collegium will be a residential college opening in Ocala, FL in the fall of 2019. It will provide a liberal arts education (A.A. and B.A.) that is faithful to the intellectual, moral, spiritual, and liturgical traditions of the Roman Catholic Church, and a formation in Catholic living, called ore et labore, both at affordable rates (under $13,500) for tuition, room and board. In short, the Collegium will be faithful, affordable, and traditional. The Collegium will also provide a formation in Catholic living through regular prayer (including Mass and parts of the Divine Office), opportunities for every student to work in support of the mission of the college, co-curricular activities that will support intellectual inquiry, spiritual formation, and moral discernment, and a faculty/staff that is committed to providing exemplary models of Catholic living. While the Collegium will not be an official agency or organization of the Catholic Church, nor have a legal relationship with the Catholic Church, the Collegium will provide an education that is faithful to the magisterium of the Church. Every member of the faculty and staff at the college will be a practicing Catholic in full communion with the Holy Catholic Church, will be fully supportive of the purposes of the Collegium, and will sign the Collegium’s pledge of fidelity to the magisterium of the Catholic Church and its oath rejecting the philosophy of Modernism. 1. 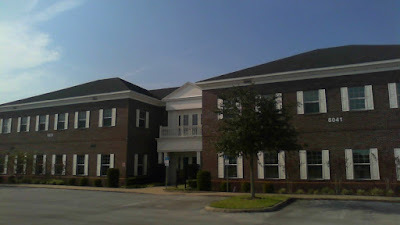 Visit the Collegium’s website: www.collegiumsanctorumangelorum.org, sign up for our newsletters and announcements, and follow our blog. 2. Join and like the Collegium’s Facebook Group: https://www.facebook.com/groups/1000345869993413/. 3. Visit www.heavenlyroastcoffee.com, and sign up for our announcements and sales offerings, and buy your coffee from Heavenly Roast Coffee. 4. Visit https://www.facebook.com/heavenlyroastcoffee/, and like the page, and share it.